GRAB claims that the crisis stemmed from the “masterlist” of vehicles allowed to service passengers and the “supply cap” of 65,000. According to GRAB, out of this number, only 35,000 are on the road on a daily basis due to coding, part-time drivers, and other reasons. Further, GRAB is telling its members that the LTFRB has not acted on its proposal to increase the supply cap. 1. The so-called “Masterlist” was determined in consultation with the accredited TNCs at the time namely Grab, Uber and U-Hop, to which Grab conceded. The Masterlist included Transportation Network Company (TNC) accredited TNVS that have been operating without valid franchises or Provisional Authority (PA), otherwise described are COLORUM vehicles. In order not to disrupt service, COLORUM TNVs were allowed to continue to get bookings in the meantime and accept passengers through the Grab system, their inclusion in the Masterlist gives them ‘temporary legitimacy,’ while they are given time to apply for a franchise. With the current number of TNCs servicing the TNVS already operating, among them Hype, Owto, GoLag and Epickmeup, service will not be adversely affected. More, two new TNCs – Hirna and Micab - are servicing the taxi service while several other TNCs whose applications are pending consideration. 2. The number coding scheme, which reduced the number of available cars on the roads of Metro Manila, did not come from LTFRB. In fact, it is the position of the agency that all public transport be exempt from the number coding scheme in order to be able to offer the riding public more public transport options and thus discourage the use of private vehicles. 3. Grab seems to confuse drivers with TNVS in determining supply. LTFRB issues franchises or Provisional Authority (PA) to TNVS for them to legally get bookings and accept passengers. Hence, if a TNVS with a PA or franchise cannot run because it does not have driver, it can find a replacement driver. 4. Currently, LTFRB is accepting applications for TNVS franchises, even outside the Masterlist, contrary to the statement of Grab that TNVS allowed to apply for a franchise are limited to the Masterlist. In fact, LTFRB has just completed the online registration of 10,000 new cars in addition to the Masterlist, with plans to open registration for TNVS applicants for those slots in the masterlist which have become inactive. We note Grab sharing its position on these issues in public notwithstanding the frequent, open and cordial dialogue with TNCs, including Grab. It makes us wonder however why Grab puts LTFRB on the spot, so to speak and in an uncomfortable position. 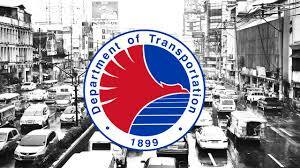 As DOTr and LTFRB seek ways to expedite to complete the target of 65,000 TNVS with the required franchises, it is to Grab’s best interest to engage its own constituency and help clarify the issues.